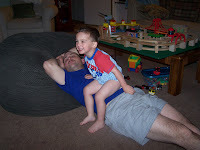 David loves to climb and play on daddy. 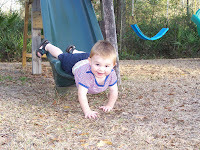 And, Daniel loves to go down the slide head first. He's my little dare devil. The boys finally got haircuts. Brian usually does David's with his clippers. He doesn't like it, most of the time, so this was taken early in the process. 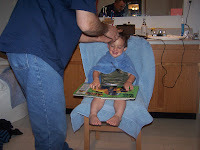 Daniel did a great job at the barber shop. 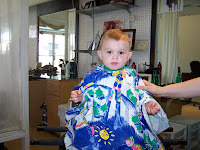 (He got a "real" haircut b/c mommy screwed it up last time) He was extremely serious and had an innate understanding not to move when she was using the clippers. Daniel's also the silly one. 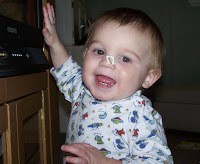 He decided to wear his stickers on his nose and enjoyed it for quite awhile. This weekend we are enjoying hanging out as a family. Since I work every other weekend, I look forward to having Brian home. Even if he's outside most of the day, we manage to spend good quality time together. It will be nice, however, when they are big enough to unleash outdoors and then mommy can stay in to get some chores done when she needs too. 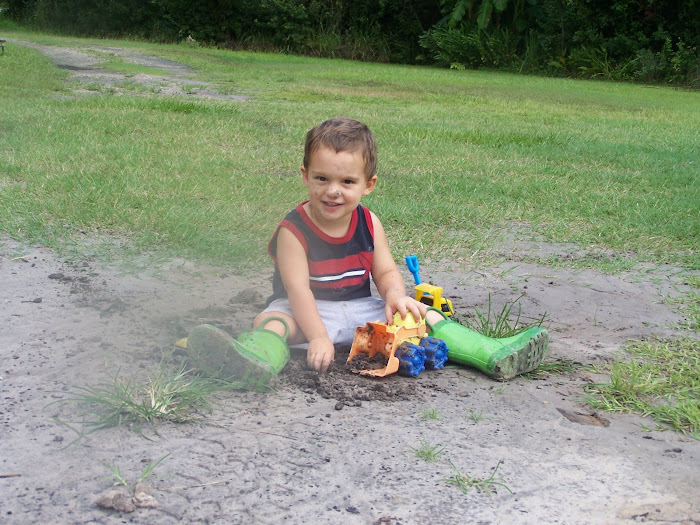 Until then, I am off to the "great outdoors" for some fun family activity. You are the coolest Mom ever! and wife too!